The Skywash is famous for its versatility. A full tuft of good-quality, pure white hog bristle fills the flat, nickel-plated steel ferrule. 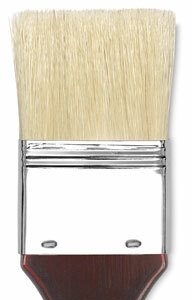 This brush can be used with watercolors for large washes and for wetting paper. 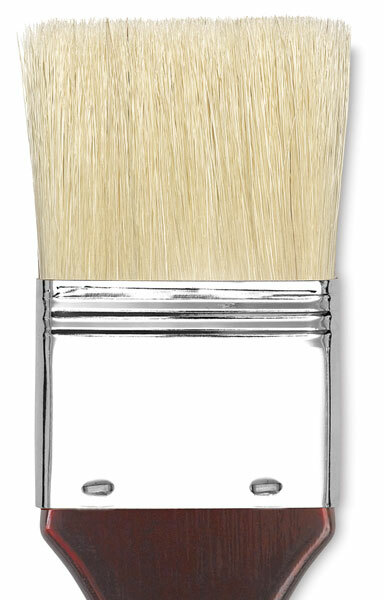 With oils or acrylics, the Series 9031 brush is a useful tool for laying in large areas of color, for priming, or for varnishing. Its short, flat handle gives excellent control.